Ordinary and most common differential types is so called open. Locking type. Do not depend on the speed nor the pavement. 0%, partly locked or 100% lock. Work as open or locked. It can be an automatic system without human intervention or selectable type. Examples of automatic locker is Mercedes and EH differential in BMW E34 525ix. Last not working at full lock. – torque sensitive – responding to the difference in output torque. – Visco coupling. Lamellas in viscous liquid. The more you increase the difference in speed, the more sensitive it becomes visco LSD. – Pawl or cogged type. Instead of the classic planetary mechanism, used pawl or cog pairs. In small difference in the angular velocities on the outputs, they are able to jump, stand wedged and thereby lock the output shafts one another. Such differentials used only military and special machines, which do not speed up. Right in this category stand famous Detroit Locker. – Cam type differential. Here is Suretrac differentials. They are used in Subaru Impreza WRX STi, Peugeot rally cars, Caterham Lotus 7’s, Mini’s and Honda and Suzuki ATV’s. Pay attention to the “cheap” diff to drift. Welded differential. 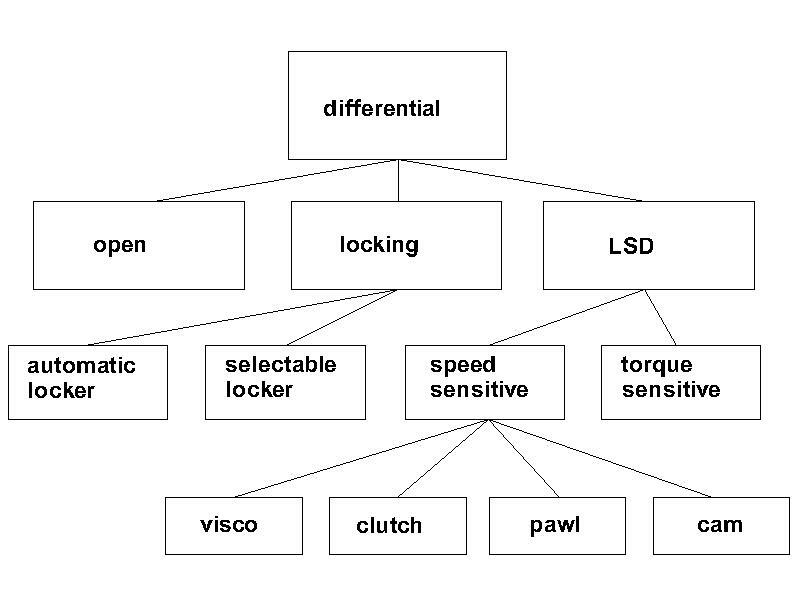 In essence: Spool differential. The spool simply ties the two wheels together eliminating all differential action. Welded differential as a differential as the monkey is a man. Of course it is the cheapest option for locked 100% Diff, but disgusting and devastating. I’m sure no one wants to drive such Diff on the streets. The car squeaks, cracks, jam parking and cornering. Becomes a terrible and very dangerous. Obtained understeer and pushing in slow corners. Do not ask me how I know. Besides itself welding should be done with case removed and bearing disassemble and then welded by TIG method. Definitely welded Diff is amateur and barely any sports team that uses such a Diff. The exception is so called spool, specifically designed for drag racing.